Replacement for the electrolytic can capacitors used in the standard credit units of the Rock-Ola models 1438 up to 1485. 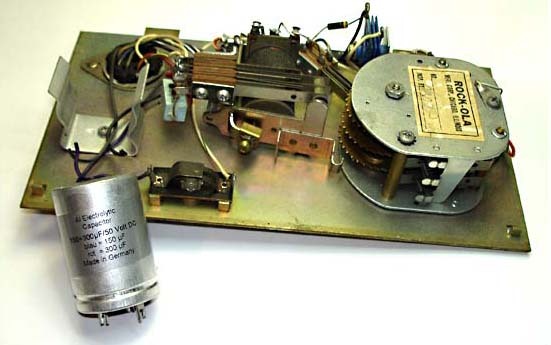 Worn capacitors can cause varius selection problems. 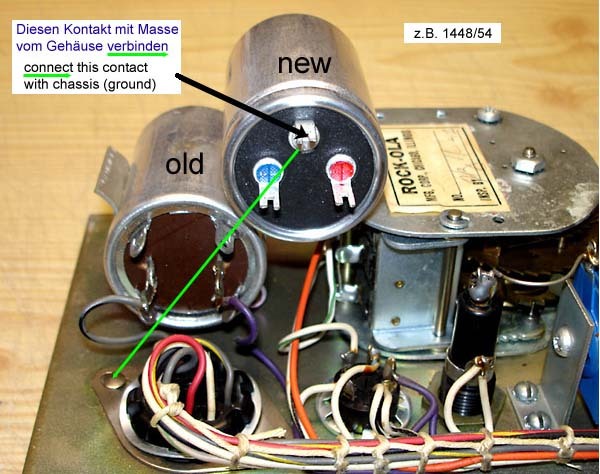 The second photo shows the installation of the capacitor in credit units of models 1448 and 1454. The credit unit is not for sale. Values (150+300/50 Volt) and dimensions (35 x 50 mm) are as original. Please note: The dual credit units, e.g. in 1455-D, don't use this capacitor.